An ‘Al Clasico’ contest awaits on Wednesday when rivals Al Jazira and Al Ain square off in the Arabian Gulf League. The second-placed Boss are desperately hanging onto the coattails of surprise unbeaten leaders Sharjah, meaning a repeat of 2017/18’s entertaining 3-2 victory at Mohammed bin Zayed Stadium is a must. For Jazira, their campaign that once promised so much under Marcel Keizer has descended into a scrap for AFC Champions League football under fellow Dutchman Damien Hertog. Marcus Berg’s goal droughts are becoming more famous than his scoring exploits. A 17-match spell for Sweden without finding the back of the net came either side of World Cup 2018. But life in UAE football was meant to be much easier for the hit man. His debut campaign contained a leading 21 goals in 25 top-flight matches for double winners Al Ain. Now, he comes into Wednesday’s contest on the back of a sapping 11-match period without bagging for club and country. The absences of star playmaker Omar Abdulrahman and coach Zoran Mamic, both poached by Saudi Arabia’s Al Hilal, cannot be helping. His crisis of confidence, evident with early misses in Saturday’s 2-1 triumph against Fujairah, must be solved. With four goals in three appearances versus Jazira last term, the end could be near. Jazira are poster boys for the AGL’s current age of austerity. Rampant, unaccountable spending on flops likes Brazil midfielder Thiago Neves is a memory. They are, however, well positioned to thrive in this skinflint era. The latest product from their fruitful academy is forward Zayed Al Ameri. His eight top-flight appearances in 2018/19 is already the most of a fledgling career. But while goals fly in for the UAE Under-23s, he’s yet to get off the mark in the top flight. Best of luck versus the Boss. 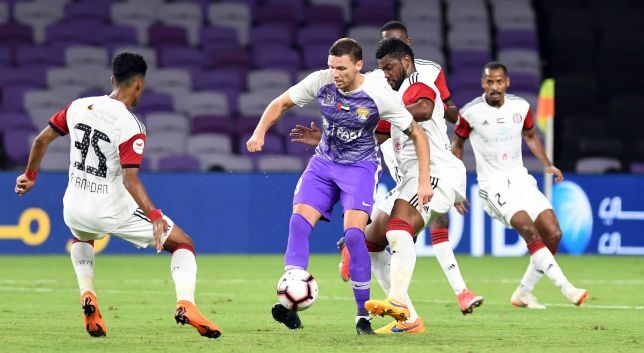 Jazira v Al Ain should stir the senses, yet undulating fortunes for both participants mean it is 2014/15 since their clashes truly meant something. An intriguing factor in this clash is the searing form of Arabian Gulf Cup champions Shabab Al Ahli Dubai Club. They sit in the third-and-final ACL qualification spot, three points behind the Boss and one point ahead of Jazira. A strong result for either side on Wednesday will temper the threat from Dubai. Defeat will create usurpation, or abandonment. 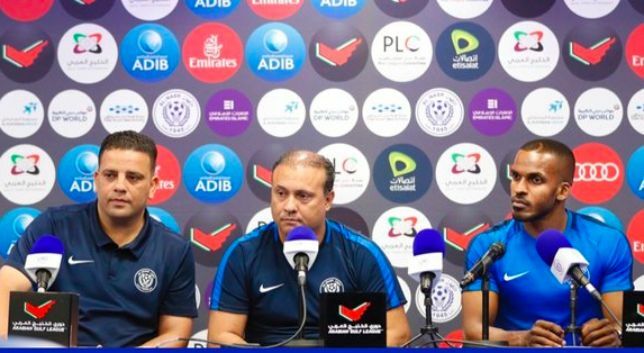 Caretaker coach Caio Zanardi is planning to play a confidence trick on the floundering Al Nasr players ahead of his second stint in a woeful season, beginning with Wednesday’s Bur Dubai derby against Al Wasl. Sporting director Zanardi, 45, was announced as temporary successor to the abysmal Benat San Jose once the Spaniard’s winless eight-match stint was brought to an end on Sunday. The Brazilian – who earned three victories and two losses during December when he filled the void left by the sacked Ivan Jovanovic – has inherited a dramatically underperforming side, sitting just two places and five points above the Arabian Gulf League’s drop zone. “We are confident that the team will play a good game and come out with positive results from the next meeting,” he said. “I am confident in my players and their desire to perform well. Opponents Wasl have fared little better in 2018/19. They finished third last term, but are now ninth. A trio of successive top-flight victories, however, has eased fears about a shock relegation. Coach Laurentiu Reghecampf was taking nothing for granted against the transitional Blue Wave. He said: “Al Nasr is one of the best teams in the UAE, with a great team of players. But they are unlucky. 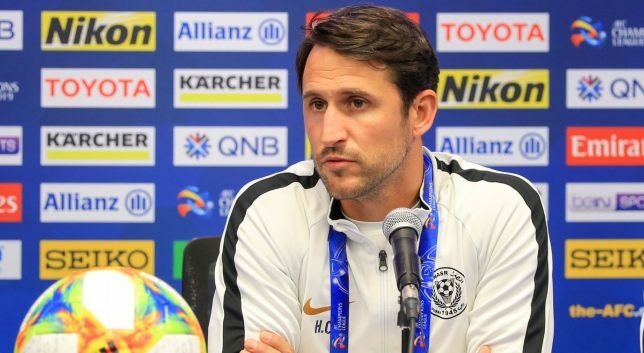 Title-winning ex-Brazil Under-17 coach Caio Zanardi has answered crisis-club Al Nasr’s alarm call for a second time this season after Benat San Jose was sacked in the wake of zero victories from eight woeful matches in charge. San Jose, 39, was a surprise hire by the Blue Wave in December on a one-and-a-half-year deal once a decision was made to end Serbian Ivan Jovanovic’s second stint at the helm. The Spaniard came with a strong reputation after he became the youngest manager in Middle East history to win a title – the 2013 King Cup at the age of 33 with Saudi Arabia’s Al Ittihad – and later claimed the 2018 Primera Division de Chile with Universidad Catolica. But he presided over elimination in the 2019 AFC Champions League play-offs, President’s Cup quarter-finals and Arabian Gulf Cup semi-finals. Nasr also dropped from ninth upon arrival to 11th in five dismal Arabian Gulf League fixtures, Saturday’s 2-1 loss at bottom-placed Dibba Al Fujairah proving terminal to hopes of continued employment. Nasr have, once again, turned towards technical director Zanardi. The 45-year-old won three times and lost twice in December when he, temporarily, took over from Jovanovic. Zanardi’s immediate task is to prepare his charges for Wednesday’s Bur Dubai derby versus Al Wasl at Al Maktoum Stadium. The troubled hosts sit just two places and five points ahead of the relegation zone to First Division League.